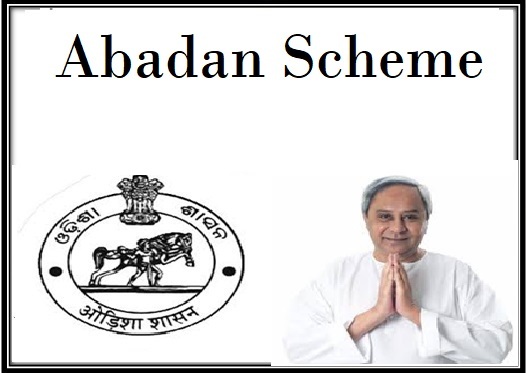 The Abadan scheme was launched by the Odisha State government with an aim to improve the living standard for senior citizens in the state and to offer them with food, shelter and clothes facilities. Objective – It is certain that the main objective of the Abadan scheme is to offer with better and improved amenities and necessities to the older people. Under the new scheme it is certain that the state government aims at providing with facilities for shelter, cloth and food to the people belonging to Senior citizen’s category. Benefits – Under the new scheme it is also certain that along with basic amenities the state government has announced that it shall be providing with medical facilities to the old people along with protection. Facilities – It is certain that to make the process of implementation more successful the state government of Odisha has already offered Old age people with a benefit where they can apply to get registered under the scheme via Online mode. The state government has announced that it shall be offering with official website where anyone can get registered under the scheme at their convenience. Volunteering Services – It is certain that the state government has also announced that it shall be hiring volunteers at the cost of Rs 3000 per volunteer per month for setting them up at various locations in the city including bus stands located at Rourkela, Sambalpur, Berhampur, Cuttack and Bhubaneshwar. According to the sources it is certain that the volunteers will offer with helping hand to the senior citizens who are in need in these places so the citizens can get a seat to sit when travelling in private and government buses. Monitoring system – According to the government sources it is certain that the state government will also set up systems that will be monitoring the Complaints made by Senior citizens. The new system will be implemented by the government District wise within the state. It is also certain that the state government will engage officials at different levels to look into the matter and act accordingly. To implement the new scheme efficiently in the state it is certain that the state government will provide the services via online registration process through its official website ssepd.gov.in. The applicant will be able to launch complaints or to request for assistance using the state government online web portal services. To make implementation more effective it is certain that the government of Odisha will appoint SSEPD services at various district levels. It is also certain that encourage more stakeholders and associates to offer with helping hand to volunteer the services for Senior citizens. The state government will also set up different state level and national level policies to offer help to the senior citizens. Apart from this it is also certain that the state government will appoint experts and counselors at each district level to monitor complaints and registration process at the head quarters and to offer with counseling services to the Senior citizens of the state. According to the sources it is certain that the state government has announced a set budget of Rs2.4 crore for the fiscal year 2017-18 for the implementation of the new scheme. It is certain that under the new budget the state government has already announced to implement over Rs 8 lakh for each of the district in the state to make the process of implementation more effective. It is certain that with the implementation of the new scheme the state government of Odisha aims at offering volunteering services to help the people belonging to old age groups. The state government wants to invite more stake holders to lend with helping hand to implement the scheme effectively within the state for Senior citizens.